The history of the Lucas family in Australia begins at London’s Old Bailey in July, 1784, with the trial of Nathaniel Lucas, who was sentenced to seven years transportation for the theft of linen clothing to the value of £2.2s.2d. Nathaniel was evidently out of favour with the wife of the publican at the Red Lion Inn at Holborn, near London, where he had lodgings. They had clashed over her demands for early payment of board, and his lack patronage of the inn’s bar. The day following this exchange, the stolen articles were found in the mattress on Nathaniel’s bed. He protested his innocence at the trial, stating that several people had access to the room which he shared with another man. Nathaniel was a joiner and carpenter by trade, aged approximately twenty-four when convicted. While awaiting transportation, he spent almost three years in the unhealthy, overcrowded conditions on a hulk in the Thames River. These unseaworthy ships were used to house the overflow from the prisons in a most unsanitary state. The other major character in our story is Olivia Gascoigne, twenty-four years old, of the parish of Severn Stoke, in the County of Worcester. At the Worcester Lent Assizes in March 1785, she stood trial for the theft “with force of arms”, of thirteen gold guineas and one foreign silver dollar, valued in all at #13.17s.6d. Olivia was sentenced to be hanged, but fortunately, as this was the day before the judge was to retire, he commuted all his current death sentences as a final act from the Bench, and she was imprisoned, awaiting transportation. The convicts of the First Fleet were all aboard ship for up to four months before they set sail. Nathaniel on the Scarborough and Olivia aboard the Lady Penrhyn, where the women were said to be filthy and almost naked many suffering fever or venereal diseases. The fleet sailed without clothing for the female convicts, despite repeated applications by Governor Phillip to the British Home Office. They also left without the convicts’ papers giving details of their crimes and sentences. These were important in providing Phillip with records of the type of people with whom he could be found a nation, and the time that he would be obliged to grant them land, at the expiry of their sentences. Governor Phillip was most meticulous in the care of the convicts, insisting they be given a period of time each day on deck for exercise, without their chains, and providing fresh food whenever possible, to prevent scurvy. Little more than a fortnight after the First Fleet reach Botany Bay, Olivia and Nathaniel were chosen by Lieutenant Phillip Gidley King to begin a settlement at Norfolk Island. His party of twenty-three, including fifteen convicts – nine men and six women – chosen for their good behaviour, left Sydney on 15 February 1788, aboard the Supply, arriving off Norfolk Island hirteen days later. Norfolk Island was uninhabited, but the settlers were disappointed that their early attempts at growing food were devastated by grubs, rats and other pests, and at the mercy of strong winds off the sea. They managed to supplement their diet with turtles, fish and mutton birds and having selected some land well away from the coastal winds, they achieved success with crops and vegetables in July and August of 1788. Nathaniel and Olivia remained at Norfolk Island until 1803, during which time they produced eleven children. The first Ann was born in March 1789, two months after the birth of Norfolk King, the first child born on the island to Governor King and convict Ann Innett. Twin daughters of Nathaniel and Olivia were killed just before their second birthday, when a Norfolk Island pine fell on the house, quite severely injuring Olivia, whose life was feared for as a result. Apparently Nathaniel had lit a fire to clear the land around the house, and expected the tree to fall away from the house. 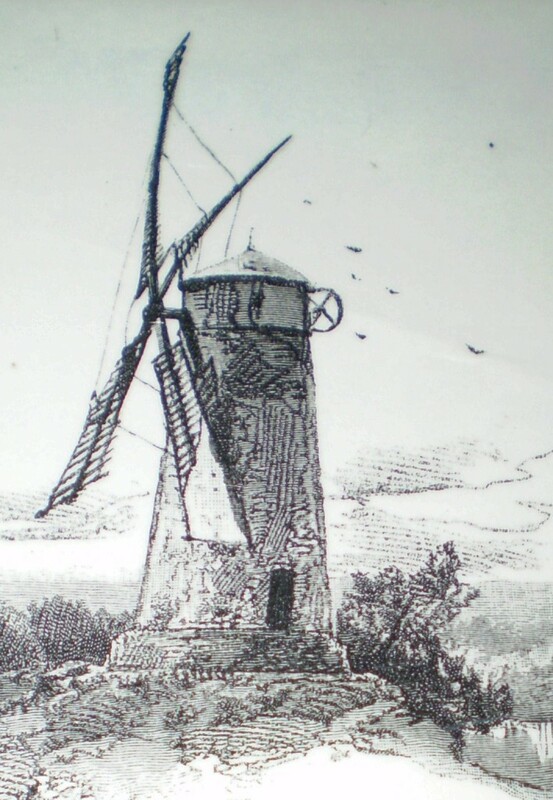 During his stay on Norfolk Island Nathaniel was directed to erect a watermill for the settlement, and permitted to build a windmill on his own “estate”. After so long an absence, an account of my state of health and situation will no doubt be pleasing to you, and I have the pleasing satisfaction to acquaint you that me and my family are all in perfect good health and thank God and my own industry are very comfortably situated. My Family at the present time consists of my wife and four children, two boys and two girls. I had the unspeakable misfortune to lose two twin girls by an accident which could it be represented in a proper manner, would awaken the most tender feelings and melt the hardest heart into sympathy. It was by the fall of a Pine Tree which stood near my house which buried my lovely infants in the ruins and almost my worthy partner who merely escaped with her life, for she was dragged out into a situation in which her life was despaired of. Oh! Father I am not able to express the poignant grief I felt on this very shocking scene without dwelling long upon the subject together with the variety of misfortunes liable to those who transgress the Laws of their Country. I can now with truth assert that I Have surmounted them all and with the Blessing of God I hope that in the course of two years to return to my native Country with a competency for Life. I am Master Carpenter of this Island for which I receive a salary of Fifty Pounds per annum. I have two Freeholds consisting of 75 acres of Land. I should be wanting very much to Gratitude if I did not acquaint you that my present good fortune is to be imputed in a measure to the humane goodness and assiduous respect of Left: Gov King who has ever promoted my interests since my residence on this Island. Perhaps it will not be un-entertaining to you to give you some account of this Island which I believe to be one of the most fertile in the world. It produces two crops in the year; one of Wheat and Another of Indian Corn. The crops of Wheat is rather precarious on account of the variance of the Climate. Potatoes and Vegetables of all kinds are produced in great abundance and will grow in any month of the year provided there is a little rain when planted. The wheat harvest generally commences about December, which is for the most part excessive hot, often accompanied with thunderstorms – the Indian Corn is usually planted in June and January. This island produces several kinds of fruits, watermelons, bananas, a rich and …red berry called tomatos or goozeberries, a native cone which grows upon vines. Grapes, figs, apples, lemons, and various other kinds of fruits coming to great perfection. Fish of excellent quality are plentiful on this coast, hogs are bred here in great quantities, poultry without … quantity of sheep and goats. I had the honour under the direction of Lieut. Gov. King to construct a water mill for the government and a windmill on my own estate. I have permission from His Honor Lieut. Gov. King fro you or any of my friends to wait upon him who will afford any necessary assistance you may require.- Do not fail in embracing the first opportunity in writing to me, remember me to all my family and friends and relations. Farewell and may God almighty bless you. Nathaniel and Olivia returned to Sydney in 1803, where Nathaniel was employed at the Government lumber yard, as a supervisor of over fifty men, in 1804. He was also responsible for building part of the Old Mint in Macquarie Street (formerly the Rum Hospital), and the vicarages at Parramatta and Liverpool. 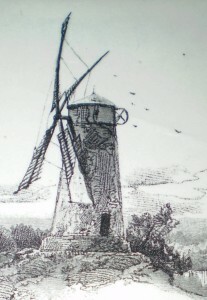 In 1804 Phillip Gidley King, who had been appointed Governor of New South Wales, invited Nathaniel to erect a windmill for the Government at Church Hill (where the Sydney Harbour toll gate now stands), and gave permission to Nathaniel to build another for his own use in the Government Domain (sited near the present State Library of New South Wales). The windmills were prefabricated at Norfolk Island and brought to Sydney on HMS Investigator. This type of mill was constructed in a way not built in the colony previously. They were of the post type, with propellers rotating on a post, their direction determined by sails placed like rudders. Modern wind powered bores work on the same principle. Nathaniel’s fortunes waxed and waned in the following years. He was granted a liquor licence in 1809, and built the Trafalgar Hotel on Church Hill. He leased land at Liverpool and began grazing, farming and wheat growing, whilst continuing to engage in building activities. In 1817 Olivia and the younger children (including Mary Ann and William were engaged in boat building and the family owned land near Launceston). In January 1818, Nathaniel was contracted by Francis Greenway, convict architect, to build St Luke’s church at Liverpool, and was present there on April 7, 1818, when Governor Macquarie laid the foundation stone. On the 28 April 1818, Nathaniel was dead. Following an argument with Greenway, who accused Nathaniel of using inferior stone in the church, and of being intoxicated, Nathaniel was missing from his home for several days. A contemporary record exists stating that Nathaniel, previously a teetotaller, was suffering from a disease of the mouth, and enduring severe and intolerable pain, for which he used rum as an analgesic, which was the usual practice. His body was found in the Georges River at Liverpool by two of his sons. He was aged 54. Olivia lived in Van Diemen’s Land until her death in June 1830, aged 69 years, and was buried at St John’s Church of England, Launceston. Nathaniel was buried in Liverpool; his headstone now stands in the grounds of St Luke’s Church of England, Liverpool. Nathaniel and Olivia left behind a large family of children and grandchildren. Ann, their eldest daughter, who married Charles Williams in Sydney in 1807, had a least ten children. Their second daughter Olivia married Charles Mills of Woodbine” Port Fairy. John Lucas, seventh child of Nathaniel and Olivia, married Mary Rowley, daughter of Captain Thomas Rowley of the Marine Corps in 1817. Their eldest son John, a builder and carpenter by trade, became an MP, serving at some time of his political career in Henry Parkes’ Ministry. He was an advocate for Free State schools, reformatories for wayward children, trade protection, and many other causes. 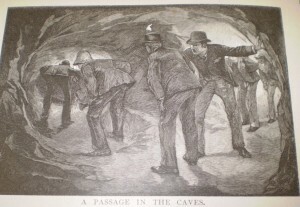 He was one of the first to visit Jenolan Caves in 1861 and worked to have them opened to the public. One of the largest caverns was named after him, as was Lucas Heights, various roads and other areas around NSW. Thomas, the youngest son of Nathaniel and Olivia, came to Victoria in approximately 1839, with his wife, also the child of two convicts, and their first five children. They moved to Geelong in 1840, where Thomas worked as a builder. The fifth child of Thomas and Margaret (nee Sydes), another Olivia, married James Long in Geelong in April 1856, later moving to Ballarat, where James established the Sunshine Biscuit Company. Thomas and Margaret had a family of thirteen, two of whom died in infancy, and they adopted a son, John. Their eldest Richard also had thirteen children, of two marriages. His first wife, Harriet Prestage, gave birth to six children, and died, aged 33, when the youngest was twelve months old. Richard’s son, Frank Prestage, married Jane Gibb, the daughter of two convicts, who died twelve months after birth of her fifth child at the age of 32. My grandfather, Frank Gordon Lucas, was the youngest of Jane’s children. Several of Nathaniel and Olivia’s sons became builders, a trait which continues to the present descendants, and as so many of their children produced large families by today’s standards. The Lucas family is thought to be the largest “descendants of convicts” group in Australia. At a family reunion held at the Old Mint in Sydney in January 1988, approximately four hundred of us met and talked about ourselves and past members of our families. A conservative estimate suggests that there are at least thirty-five thousand people living in Australia who are descended from our First Fleet convicts. Nathaniel and Olivia, who, despite their mode of arrival in this country appear to have played a considerable part in its development during the past 200 years.